It is summer and we cannot stop talking about the temperatures. Sometimes it is too hot, the other time it is too cold. With 3D printing it is actually no different. The correct temperature remains the codeword when making good 3D prints. After all, it remains a plastic process, in which temperature is an essential part. At a higher ambient temperature, a number of things will be important to keep the printing process stable. You can read which parts these are and what you can do about them. 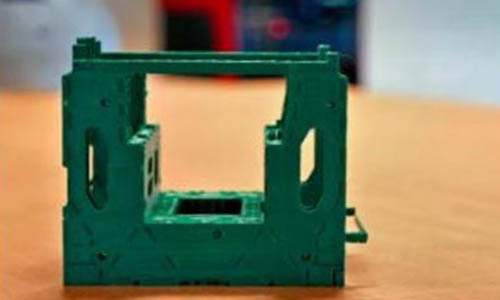 The basic principle of 3D printing is that a plastic (filament) is heated to make it liquid, so that the filament can be sent through the printhead. 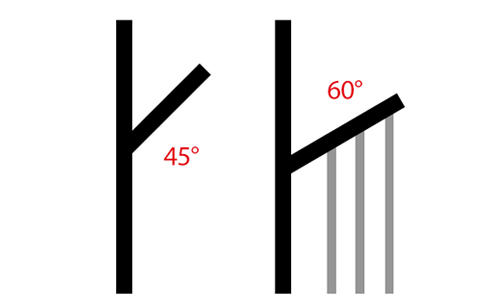 The point of the temperature where the filament starts melting is called the glass temperature. This temperature differs per filament. You can imagine that the glass temperature must therefore be reached in order to be able to lay down good print layers. The most ideal situation is when the filament is laid down and cools down immediately so that it becomes firm and can not become deformed. The next layer can then be printed directly. 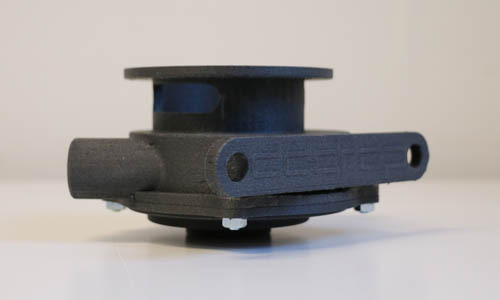 Finding the right balance between temperature and cooling, so that the filament can flow freely through the nozzle, but it can also solidify in time to preserve the exact dimensions of your 3D-printed part, is the art. Unfortunately, this is easier said than done. Occasionally we get to deal with overheating. The temperature of the filament will then remain too hot for too long and as a result it will melt away and deform your print model. The most common causes of overheating, but also the solutions we treat here. A common cause of overheating is that the filament is not cooled quickly enough when it is deposited. The filament that comes out of the extruder head, depending on the filament to be printed, can be up to 250 °C. For many types of filament it is good to immediately cool the layers after laying down, this prevents deformation of the layers. 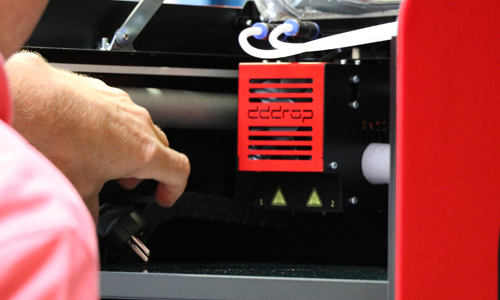 The dddrop printers are equipped with multiple fans on the extruder head and in the back of the extruder head so they are able to cool the product immediately. 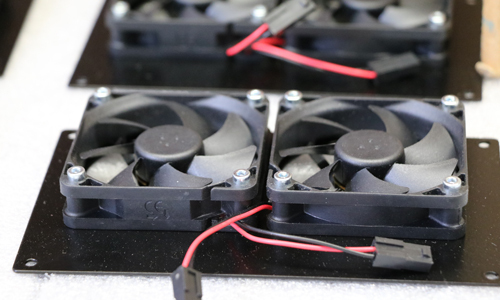 Two fans in the back of the cabinet are intended to control the temperature during the printing process of the cabinet. Watch out with to much cooling. There are plastics suchs as ABS, PA-12 & PC that cannot withstand temperature fluctuations. It causes shrinkage and makes the plastic to warp. If the cooling with the fan does not work (sufficiently) you can try to lower the extruder head temperature and thus print at a lower temperature. Start with a reduction of to 10 degrees Celsius. Note: do not reduce the temperature too much, you have the risk that the filament does not run through the extruder head because it is not liquid enough. At that moment you will have to deal with a clogged nozzle. If the layers are printed too quickly after each other, it may be that there is not enough time between them to allow the previous layer to cool down sufficiently. This usually occurs when printing very small models, because the layers are deposited here in a few seconds. Here too it is possible that even with a cooling fan the layers are not cooled quickly enough. 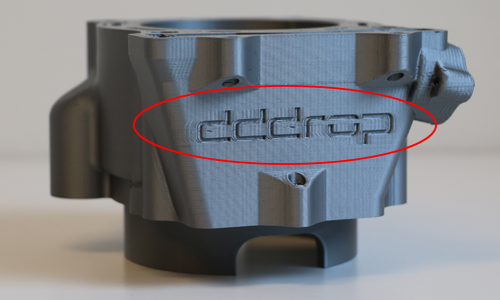 You can choose to adjust the print speed manually in Simplify3D. you can set the software to adjust the print speed for layers that require less than 15 seconds to print. The printing speed for these small layers is then automatically delayed. Tip: maybe not the most obvious option, but when printing small models you can choose to have multiple models on the PCB at the same time. The dddrop printers have a large volume, which creates a lot of printing space on the printbed. By printing several models at the same time, you create more time between depositing the different layers. The extruder head goes first to the other models before a next layer is deposited. This can give just enough time for the layers to cool down sufficiently. The advantage of the dddrop is that all filaments are provided with ready-made FFF profiles. These are settings that are supplied with the filament. All cooling values are focused on the filament and calculated at room temperature. Should the ambient temperature rise anyway, you can adjust these values at any time with, if necessary, support of our dddrop helpdesk.